If you still believe you aren’t flexible enough to practice yoga, continue to accept help. This week, explore how using the block can open your body and perhaps your mind. Learn, grow and change. 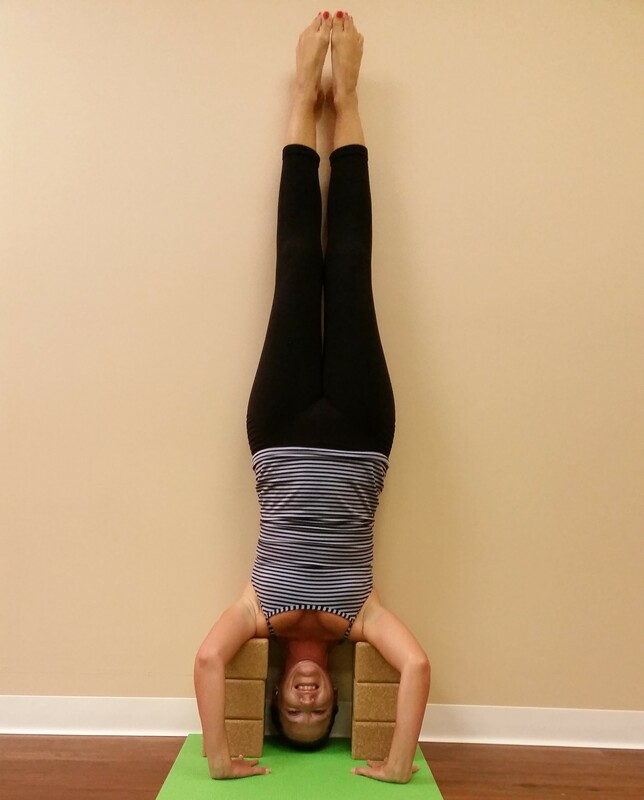 Shoulder Stand is an advanced posture that stimulates the parasympathetic nervous system. While lying on your back, you balance on your head and shoulders while the rest of your body is straight up in the air. It’s actually relaxing if you can do it properly. 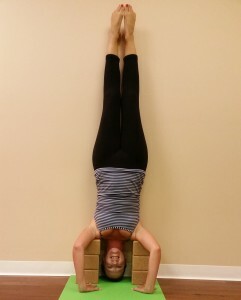 However, Shoulder Stand can place too much pressure on the cervical spine and result in injury. What to do: Preferably with a teacher’s assistance, lie on your back, slide a block under your tailbone, and lift your legs straight to the sky. Holding the arms overhead can be a challenge for those with limited movement, pain or lack of strength in the shoulder girdle. Weak shoulders not only impact a yoga practice but daily living. What to do: Take Warrior I. Step way back with your left foot with the toes at a 45-degree angle. Line up your heels. With hips squared, bend into the front leg. Reach both arms overhead with your palms facing each other, and hold a block in your hands. Press the balls of your index fingers into the block, and feel the activation of your shoulder girdle. Work up to holding this isometric exercise for two minutes or longer before switching feet. For anyone with tight hips, sitting on the floor with crossed legs is far from comfortable. The knees lift and the back rounds to compensate. This makes sitting grounded to the earth for meditation or for any purpose difficult. What to do: While sitting with crossed legs, prop a block under each knee to keep you grounded. 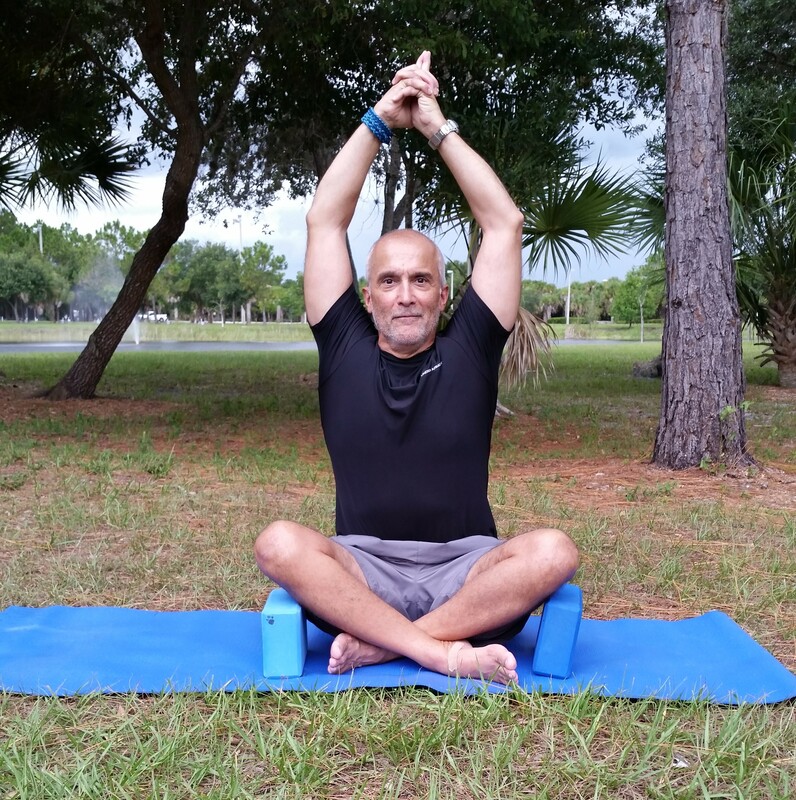 Reach the arms overhead with palms touching, and enjoy a straight, balanced seat. Bringing up body to low with the belly touching the thighs is restorative and offers an incredible stretch for tight hamstrings, particularly for those who sit for hours a day. But tight hamstrings make bending over painful and can strain the lower back. What to do: Place a block at its highest setting in front of your toes to raise the earth to your hands. Hold the forward fold with a straight back peacefully, and feel your hamstrings release. Monkey Pose is a split, and it offers a deep hip opening along with a stretch for the groin and the hamstrings. Unfortunately, it hasn’t been accessible for most since middle school. What to do: As you begin to practice Monkey Pose, start in a low lunge with your back knee on the mat. As you slowly straighten and slide your front leg forward, prop a block under the thigh and hold as your body eases into the split. This will take time. Headstand not only reverses blood flow and the effects of gravity, but, energetically, Headstand offers new perspectives and an opportunity to turn the world upside down. But, like Shoulder Stand, it can place too much pressure on the cervical spine. What to do: Move into Headstand prep. Take Downward-Facing Dog with your head and hands close to the wall. Have two sets of three blocks pushed against the wall, a stack positioned under each shoulder. 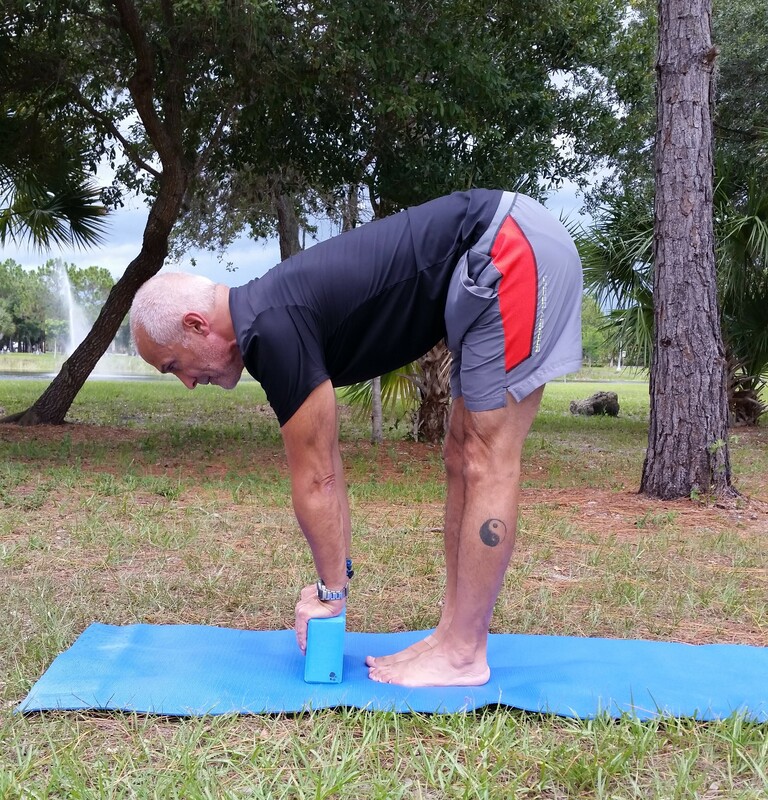 Walk your feet toward your head and begin to push your shoulders onto the sturdy blocks. Kick your legs up with core strength, and balance them against the wall. Your head may not be touching the floor. Only do this with a teacher, please. Bridge is one of the most stabilizing poses, particularly when you are stressed. Both the head and feet are grounded while the heart opens and the hips lift. 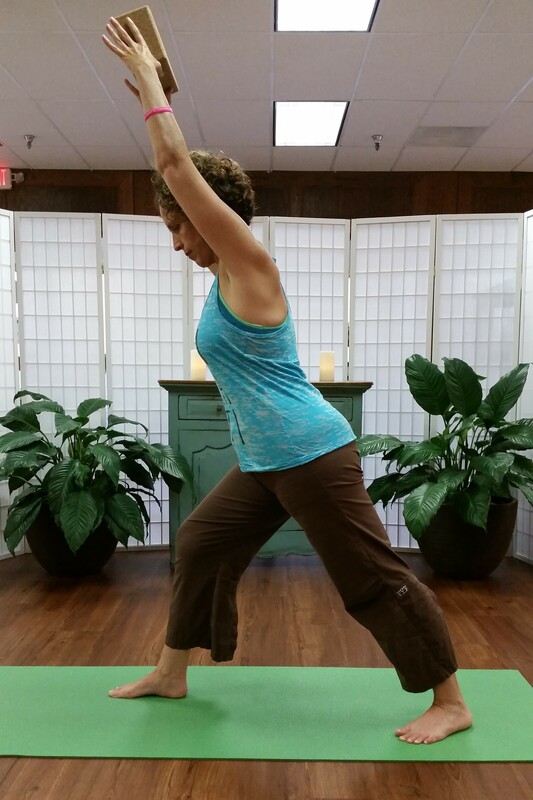 The pose offers a deep stretch for the hip flexors and psoas. Yet, weak glutes and hamstrings can make it difficult to lift the hips to the sky. 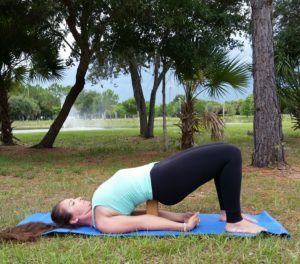 What to do: As you lie on your back with your legs bent, soles of the feet on the floor, lift the hips and side a block under your tailbone, preferably at the highest setting. Perhaps interlace your fingers underneath you and straighten your arms. Your heart will lift through your shoulders, and your hips will open. Click on the online edition to visit last week’s Part I: The Strap.